Mesh lovers rejoice, finally the SMOK TFV8 Baby Beast Mesh Coil has landed ! 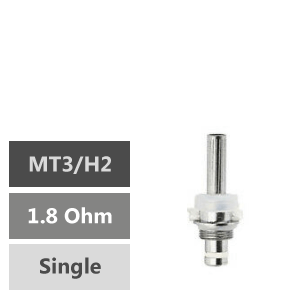 SMOK have delivered a mesh based coil for your vaping enjoyment. High grade mesh wraps around Japanese cotton to provide a full vaping experience that evenly converts your juiced wicks into vapor. Take your love for superior flavor to new heights with this range of 30 to 80 watt atomisers. Longer lasting, exceptional at delivering flavor, and ideal for anyone who enjoys consistency the SMOK TFV8 Baby Mesh Replacement Coils takes your love of vaping to previously uncharted territories. NOTE: Only compatible with the SMOK TFV8 Baby and the SMOK TFV12 Baby Prince !